The North West province will this week host a BRICS roadshow as part of the build-up towards South Africa hosting the 10th BRICS Summit later this month. “The roadshow aims to, among others, create awareness on the significance of South Africa’s participation in BRICS and to profile the benefits of South Africa’s chair ship of BRICS, which coincides with the centenary celebrations for Nelson Mandela and Albertina Sisulu,” said the Office of the Premier on Monday. Thursday’s roadshow will be addressed by International Relations and Cooperation Deputy Minister Luwellyn Landers and Premier of the province, Professor Job Mokgoro. The North West BRICS stakeholder engagement meeting will be attended by youth from across the province, representatives from the North West University, the business community, civil society, and the provincial leadership. 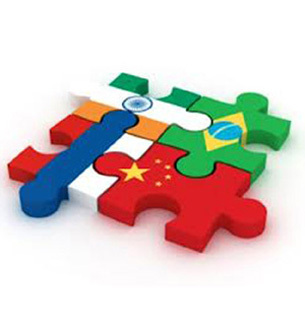 African and BRICS (Brazil, Russia, India, China and South Africa) ambassadors are also expected to attend. The meeting is expected to get underway at the Madiba Banquet Hall in Potchefstroom at 9am. The BRICS Summit is set to take place at the Sandton Convention Centre under the theme ‘BRICS in Africa: Collaboration for Inclusive Growth and Shared Prosperity in the 4th Industrial Revolution’. The three-day summit is set to get underway on 25 July.